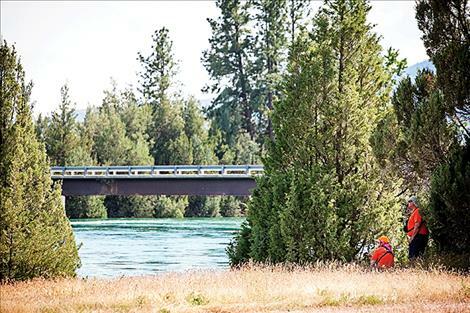 A Lake County Search and Rescue team member watches the Flathead River for the missing man. 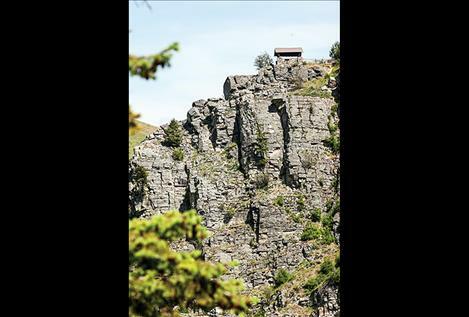 Search and rescue crews set up near SKQ Dam to look for a man who fell into the river below the dam’s scenic overlook. 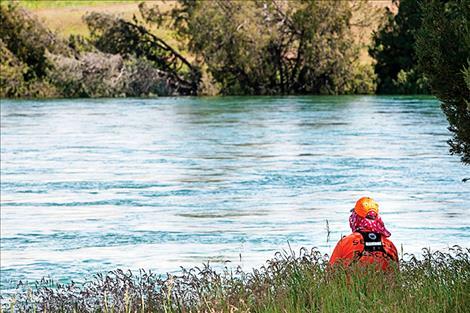 After hiking with two other people down the cliffside at SKQ Dam, past posted warnings, a 23-year-old Nebraska man fell into the Flathead River on May 31. 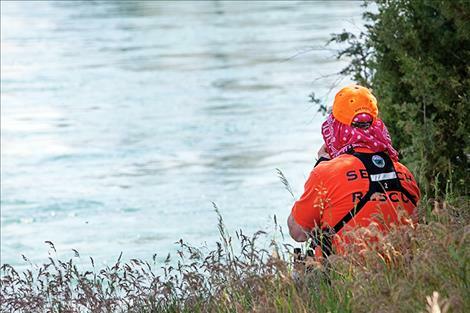 Search teams are using underwater cameras to try to locate the missing man. 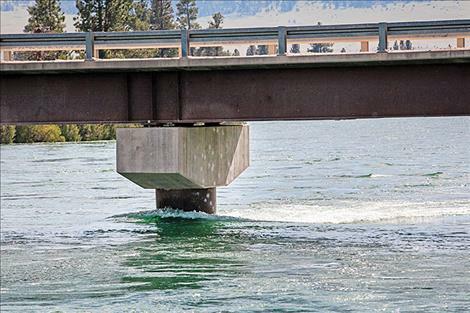 FLATHEAD RIVER – Lake County Search and Rescue brought in underwater cameras to search for a 23-year-old Nebraska man who fell into the Flathead River below the spill way of the Selis Ksanka Qlipse dam on Wednesday, May 31. 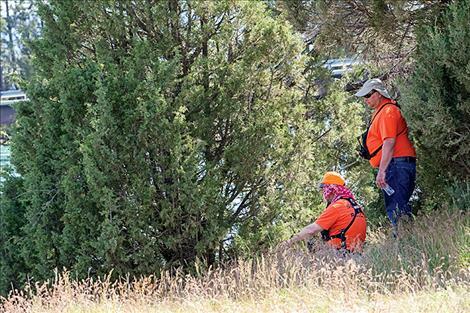 Lake County Sheriff Don Bell said on Monday, June 5, that cold, hard running water has made the search for the victim difficult during the past five days. He said many teams from different agencies joined in the search, but it’s “way too dangerous” to send divers into the water to look for the victim. “The water is extremely high and dangerous right now, and I feel for the family, but I can’t risk other lives,” he said. Bell has been in contact with the family and said that they agree with his decision. Rescue crews are utilizing underwater cameras as a safety precaution instead of going into the river. The cameras are being put down into the water with a long line. “Some of those pools are 130 feet deep in places,” he said. Sheriff Bell said that it is possible that the victim won’t be recovered, but he isn’t giving up anytime soon. 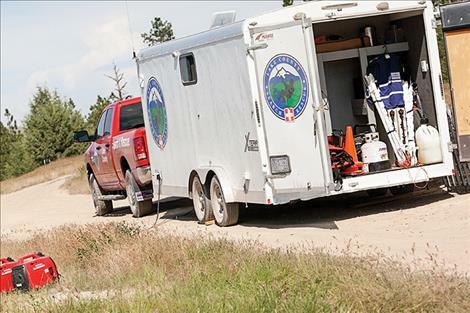 “We won’t give up the search efforts for a while,” he said. The victim was identified as Richard Mitchell of Minatare, Nebraska. On Wednesday, May 31, Mitchell was with two other people from Nebraska. 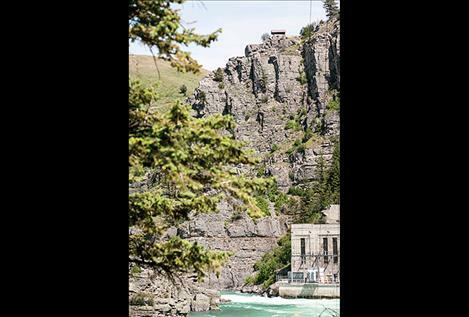 They explored the trail open to the public around the dam, but they eventually continued past warning signs, and worked their way down the cliff face to the east side of the scenic lookout. Mitchell reportedly slipped and ended up in the water. Sheriff Bell said the two people with Mitchell watched the water for a short time to try and find him before running to higher ground to make a cellphone call for help. 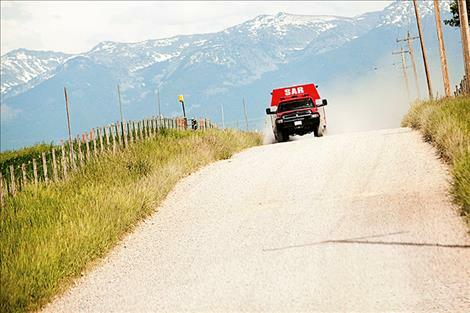 “Dispatch got the call at 12:06 p.m.,” he said. During the first days of the search, Sheriff Bell said 40 members of the Lake County Search and Rescue team worked the rivers and the bridges to try and find Mitchell. The crew walked side-by-side and utilized 4-wheelers to search along the river bank. The search team also brought in a specialized dog team to assist in the search. 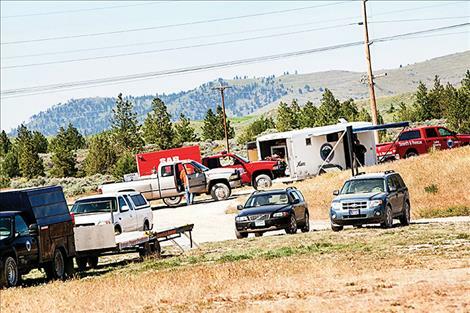 Officers from the Lake County Sheriff’s Department and Tribal Fish and Game were also searching the area. 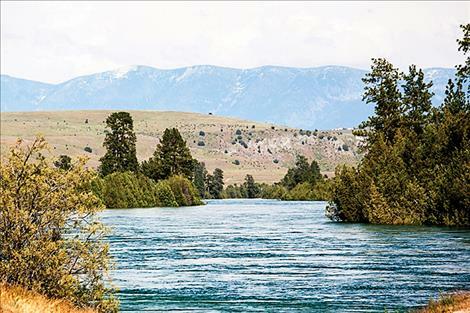 Two Bear Air helicopter flew over the river several times at the time of the incident and again several hours later in an attempt to locate Mitchell. 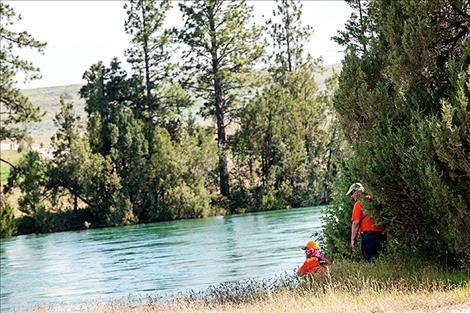 Energy Keepers, Inc. lowered water output from the dam for two hours immediately following the incident to help the rescue teams with their efforts. Sheriff Bell asks that everyone use caution this time of year around the river. He said that the water is high and swift. The temperature is also around 55 degrees, so hypothermia will set in quickly.